The siege on the residence of the Senator representing Kogi West Senatorial district, Dino Melaye, by the police, has entered day four. 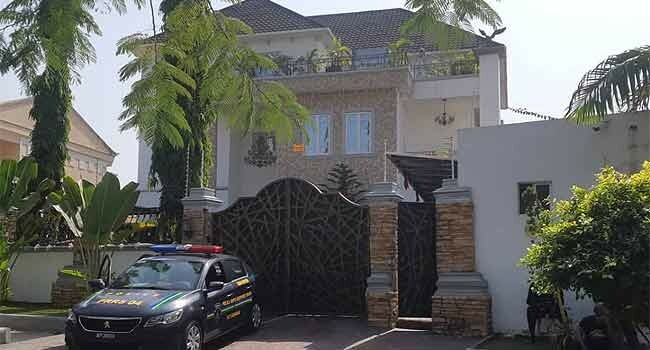 Channels Television’s Correspondent who visited the house overheard a policeman asking the Senator’s security guard to remain at the gate to witness every action of the police. The security guard, victor Isah, who confirmed the instruction of the police, says his colleagues who had been arrested on Friday when the siege began, had been released. Isha said he wasn’t initially allowed to man his duty post when he resumed for duty this morning. The police had earlier vowed to remain in position until the Senator comes out of the building, after claiming they saw him shout at them from a window on the building’s top floor.